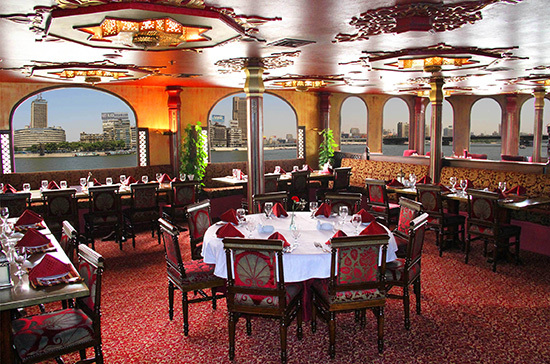 A very Lavish Khedive style Egyptian restaurant with red and gold interior. 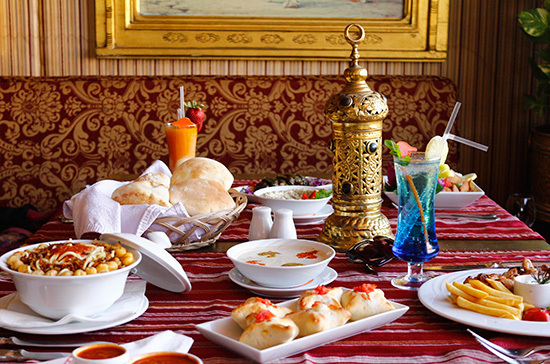 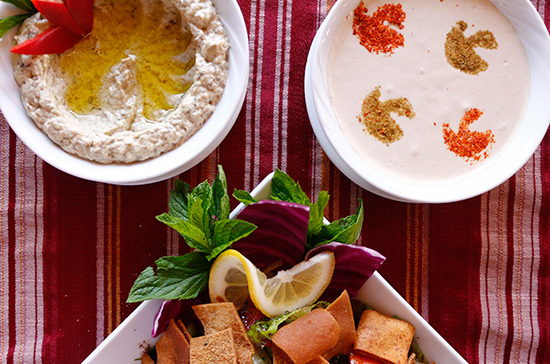 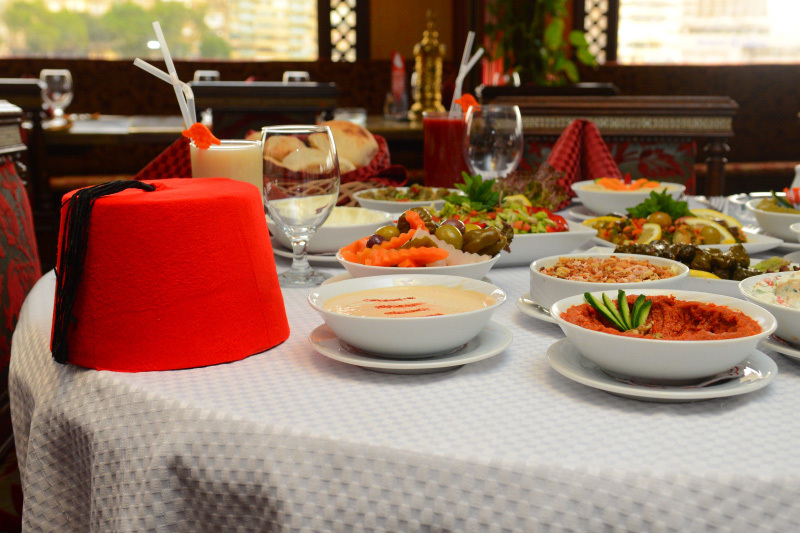 Le Tarbouche – Akl Zaman offers authentic and exotic, traditional Egyptian dishes as served in the times of the Pachas. 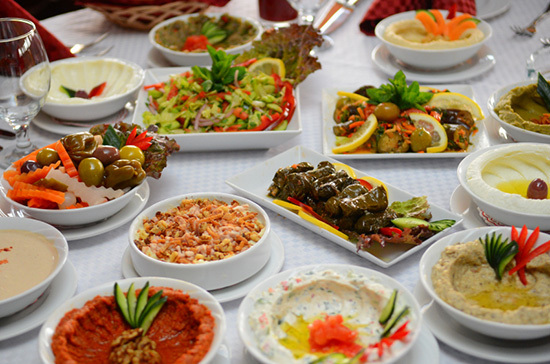 Choose from a variety of Mezze and starters, Grilled meats, Molokheya with Rabbit, Rice with Veal Shanks, Duck, Pigeon or fish. 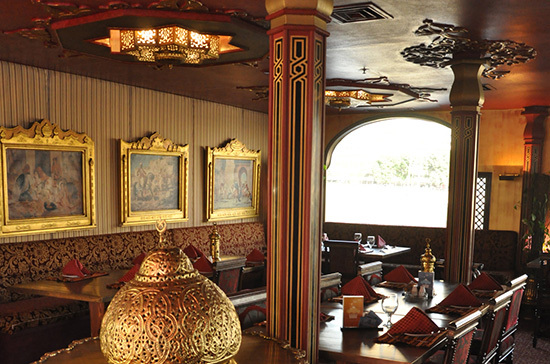 Enjoy a cup of our homemade mint tea in our cozy balcony with a breath-taking Nile view.